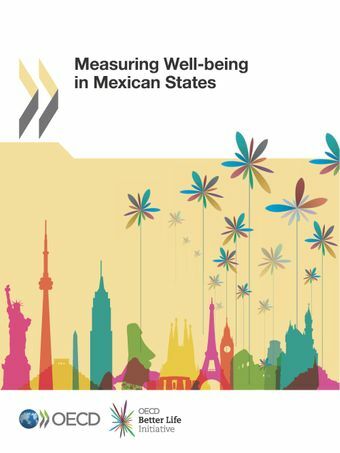 The report provides a comprehensive picture on the territorial differences in many well-being dimensions across the 31 Mexican states and the Federal District. It represents a sound base for state and local policy makers, political leaders and citizens to better understand people’s living conditions, gauge progress in various aspects of economy and society and use these indicators to improve the design and implementation of policies. It is a part of the “How’s Life in Your Region?” work produced by the OECD Public Governance and Territorial Development Directorate at the behest of the Regional Development Policy Committee. Mexico has improved its performance in health outcomes, access to basic services and quality of housing since 2000. Further efforts required to improve performance in education, safety, poverty reduction and quality of jobs. Education gap between states is one of the largest disparities among OECD countries. 44% of Mexico’s labour force has at least secondary education, 30 percentage points below the OECD average. Regional differences in accessibility to services and health have narrowed since 2000. However, since 2000, safety, income and jobs have worsened on average in the country. How's Life in Your Region?